Created to get a stark image of the white bird. Because it is wildlife in motion there will usually be some background highlights (unless photoshopped). What a lovely fluff of feathers as it flies! Stands out wonderfully from the background too. 😀. Thank you. 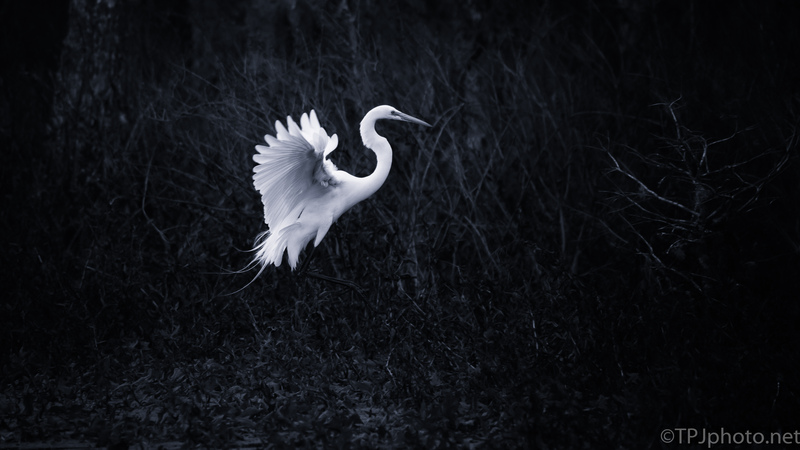 These Egrets are so photogenic it’s amazing.